Home>New Songs>H.E.R. Songs> Chris Brown Joins H.E.R. For DJ Envy-Hosted "Focus (Remix)"
Over the last year, H.E.R. has been killing the R&B game, putting everybody else on notice as she is going toe-for-toe with some of the best right now. Her first release in 2016 surprised many as, at that point, she stayed masked by a shadow for nearly a year with nobody knowing her true identity. While she has now stepped out from behind the curtains, her talent remains nearly unrivaled as H.E.R. Volume 1 still has tremendous listening value after almost two years. One track from the EP, "Focus," has just now gotten the remix treatment and none other than Chris Brown is gracing the cut. Assisting Lil Dicky on "Freaky Friday" and Kirko Bangz with "Date Night," Breezy stayed relatively quiet throughout the month of April. His inclusion on "Focus" comes in the form of a DJ Envy-hosted remix that was premiered on Power 105.1 yesterday. It was only a matter of time for a high-quality version to officially show up online. As Chris lays down his signature harmonies, he uses his vocal talent to bring a new element to a song that did not necessarily need any features. We have to note, DJ Envy's yelling at the beginning and end of the track are a little offputting considering the song's easy-going nature. Regardless, both H.E.R. and Chris Brown put forth a great effort in their respective sections. Check it out and let us know how you're feeling about the remix. What is this a joke? 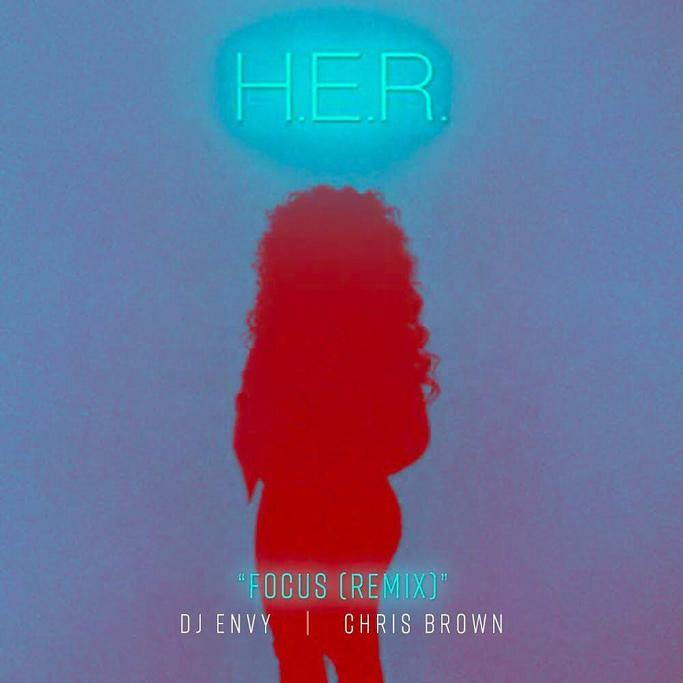 SONGS Chris Brown Joins H.E.R. For DJ Envy-Hosted "Focus (Remix)"